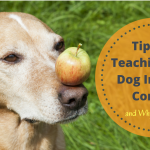 Many people want to be the apple of their dog’s eye. They want to think that their dog can’t function without them. Face it! Some of you recognize yourself in that statement. Everyone wants that dog from the “Incredible Journey” that travels miles and states, through the wild to find their owner. People over bond and spend every waking moment with their dog, rarely leaving it alone. And, then they get frustrated and wonder why the dog can’t be left alone? I wrote an article years ago, “I Love You to Death, Why Over-bonding is Bad, even Dangerous for Your Dog”, which touches on this phenomenon. 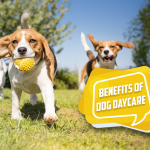 Recently, I had a dog owner who contacted me because he literally can’t leave his home unless he has a dog sitter or can drop the dog off at daycare. I personally, can’t imagine that!!! I love my dogs, but I need to be able to leave them, on occasion. Even parents leave their children (over age 9 or so of course) but parents are allowed to at least bring their young children with them. I want my dogs to love me. I want them to want to spend time with me. I want their lives to revolve around me. I hope they would be like the dogs in the “Incredible Journey” and follow me to the ends of the earth. But I also want them to be independent! I don’t want them to chew out of their kennels when I have an emergency. I don’t want them to hurl themselves through windows to find me. And, I don’t want them to jump 6 ft fences or higher to follow me. See how all those things aren’t congruent? 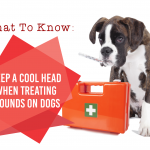 So, what happens when dogs over-bond? 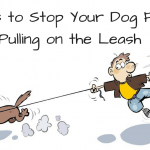 Even if the human thinks they want over-bonding at the time, they realize very quickly that having a dog that can’t be left alone is a problem. 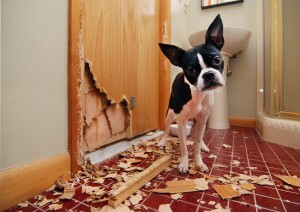 The dogs eats the dry wall. 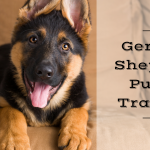 These are traits that will lead to owner surrender at shelters. Because, even though the owner thinks he/she wants the dog to not be able to function without them…. They don’t really understand the repercussions. And quite simply, I don’t know anyone who can NEVER leave their dog! 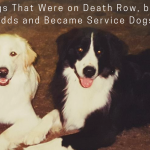 I worked with a Service Dog organization many, many years ago. We trained a lovely Golden Retriever that we had rescued from a shelter, for an older, wheelchair bound gentleman, to help him gain more independence. His dog went EVERYWHERE with him for more than 8 years. After all, Service Dogs are suppose to go everywhere their owner goes! One day he had to have a surgery and his family didn’t want to take the dog. Afraid that he would hurt himself in the home or in his crate (which he had spent very little time in over the past near decade), they left him on a tether in their back yard. They returned to find that the dog had hung himself trying to get to his owner. It was devastating, for all of us trainers, the man and his family. Having never fostered independence, they had created separation anxiety and panic in its truest form. The dog needs to learn he can function without you, or alone. How many people need another person or other people in order to function effectively? Some of us want a spouse or a friend to stand behind us in times of need but ultimately it is critical that we can function alone. We go to school alone. It is critical that we can function, solo. It is important to feel normal independently! We should be able to function alone without anyone else. Alone time can come when you put your dog outside in the back yard by himself. It can also come when you put him inside of a crate, alone. I think it is essential that we crate our dog during the day while we are home, so that we don’t create separation anxiety. If we only crate them when we leave, we can cause some panic because being in the crate means that the dog is going to be left alone for long periods of time. I like to crate my dogs when I cook a meal, or crate them while I clean. They don’t NEED to be crated during these times but I like them to practice being in there while I am home so they are more used to it when I leave them for longer periods of time. He would crawl on my lap, or in my mouth if he could. But, I make it a point to leave him outside every morning for an hour or more. I want him to have coping mechanisms when I am not around. I never leave him outside when I am not home, or when I am not watching, but I think it is critical to his mental stability to be able to be outside and sun himself and enjoy the yard by himself. I also crate him when I can’t watch him. I have no doubts that if I took him everywhere and let him spend every waking minute with me that I would actually create separation anxiety. I appreciate that he loves me, but I want him to be a healthy functional individual. We mark the success of a parent and child by the parents ability to raise a happy, healthy and independent child. We don’t coddle kindergartners that don’t want to go to school or are afraid to be away from their parents. We exercise a little tough love because we know it is critical to their physical and mental health later. He needs to have some coping mechanisms and the ability to function when you are away. Only give your dog special treats elk antlers, pigs ears, stuffed Kongs, bully sticks, stuffed bones when he is separate from you and alone. Feed him in his crate or outside when he is alone. 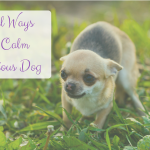 And, if he is particularly difficult, give him an excess of exercise to completely exhaust him prior to your leaving him outside or in his crate; you want him to be so exhausted he hardly cares that you aren’t there! 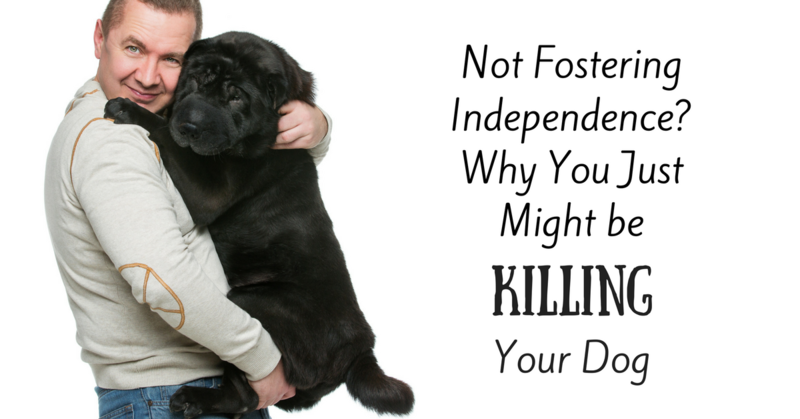 And, if you have a puppy, it is your duty to make sure you are raising an independent and healthy dog! I have four Jack Russells. One is 11, then there’s her nephew who’s 8, his mate who’s 3, and their female pup who will turn one this Friday. We leave them frequently, and it’s only the pup who expresses anxiety upon our return. Overjoyed to see is is an understatement. We are both retired si we spend inordinate amounts of time with her. We walk them all at least 3-4 miles a day, swim, and play. But when we’re not here, she took to chewing wood corners of wainscoting and chairs. We have gates now, that keep them all in the half of the house that has their crate, but no wood to chew. She still submissively pees upon our return, and takes a while to calm down. I’ve tried crating her, but she gets so crazy in it upon our return, that I think she’s going to hurt herself in the minute it takes me to get in and release her. Plus, the peeing then goes on in the hallway instead of outside….how can we lessen her separation anxiety? We have cameras, and when we’re gone, she doesn’t emulate the others by sleeping or resting. She’s getting better, but still more the one walking around than not. Maderia is about to turn 2. While I feel we are making strides we certainly still have work. Here is the issue. She is fine alone while we work and at night when its bed time. She loses it (barking/jumping) when my husband leaves her sight. She does not do this with me. My nephew lives with us and she often behaves the same as he comes or goes. What do you recommend?! Check local laws. We are not allowed to leave a dog for more than an hour even on leash in fenced yard. Supposedly dog-napping issues but more likely barking issues mixed with local politics. Love most everything you say but no it is not like children . I am a preschool teacher and you dont build up a childs confidence by fiorced separation at young ages to cultivate independence . Instead mothers “attach” bond with their babies and as time goes by if the child feels propetly attached to mom it creates a security that allows the child to gradually expereience little bits of independence ( like a baby sitter ) . If a child is not properly attached and securely bonded to mom then the child will not seek independence but will be clingy . So your example was not accurate comparing children but it also make me wonder about dogs . I have had many dogs over the years but I have never had just one . I can only imagine how a little pup feels being taken from their mom so young and disrupting the social bonding occuring with their mom and their family group . This is likely the root of anxiety in a lone dog in a home . 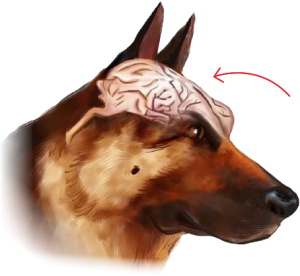 They would either transfer that anxiety to connecting to the human obviously so when the human wants to keave it would bring up great anxiety to the dog . I had an animal behaviourist speak at out potluck sunday and she is all about a compassionate relationship with dogs and all animals where she says she wants to teach people to go beyond commands and obeying to giving dogs true compassion, respect and Choice ! Just like now in psychology we have come to understand that most of our human relationship issues have to do with our “attachment style ” we had with our closest parent . If we were out right rejected and didnt get our needs met as a baby then we have difficulty bonding to a partner in life , if the parent fulfilled the childs needs only sometimes and not predictibly , they as an adult will become needy in intimate relationships , insecure . So I think that we need to take a look at the way we disrupt the bonding with th momma dog from such a young age often . We used to “give away ” black slave babies too , taken from their mothers , and thought they should ve just fine too . When we look at anyone as sub human then we approach the problem incorrectly . We need to take into account the big picture and realize that as much as we may love dogs , it is unnatural to remove them from their moms and from their own species . We have set up a scenario ripe for neurotic behaviour . Hey if you’d like I can introduce you to this great animal behaviourist from Waterloo university . You two would get on great because you both have so much compassion for dogs ! Thanks for all you do ! Actually, I still disagree. You are speaking of infants. 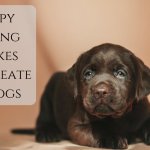 Dogs spend their infancy with their mother and then go to homes when they are more mature. Obviously dogs mature and grow much faster than humans. We put our babies in cribs and they eventually learn to be alone and self soothe. We send our children off to kindergarten and later a full day of school, even the ones who are scared of leaving their mother. We expect them to self soothe and make friends and learn independence. 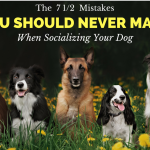 We do not keep our babies and our children locked up in the house until adult hood and then expect them to socialize and behave normally… And unfortunately this is often done to dogs. We have always raised our dogs to be independent until our precious best friend, Tucker, died and we finally got a new dog 2 years later. My husband became disabled during that time and between always being worried about our new little Oakley and my husband rarely leaving the house, she became absolutely dependent. Then, my husband had a stroke and went to the hospital. Suddenly, I had to worry about Oakley being a lone. Luckily, I was able to drop her off at a friend’s house, but it was a lesson learned. We then took the steps to get Oakley used to being alone now have another dog, C.J. so that they have company with each other. C.J. is being trained as a service dog, but she doesn’t go everywhere with us. 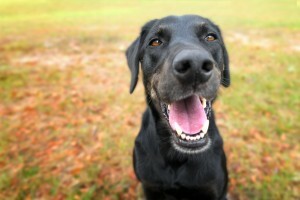 We are much less stressed and have happy dogs! Thanks, I had not thought about crating my shih tzu when I am cleaning. He tries to move behind my every move. Again thanks for free info,to help us care for these poor animals. They are sweet,but, it gets tiring to see my doggie unable to be crated while I am inside. My sincerest thank you from the bottom of my heart for all of your wonderful, helpful articles on how to take proper care of our best friends. It tears my heart out to see so many dogs even in my own neighborhood that are so neglected and just put outside and left alone all day barking constantly and ignored. So many are left unbathed and surrounded with poo. Why do these people even bother to have the poor animals? I got my Maggie at the shelter about 8 years ago after I retired as I did not want to have a dog left alone for the long shifts I worked and gone about 12 hours per day 4 days a week. This is my first dog and I am so glad that I waited to retire to get her. I am the one who has the separation anxiety as she is the absolute love of my life. She is so good and so sweet and loving. I have to force myself to leave her to her alone time and not stick to her like glue. She is so quick to learn and the only time she absolutely refuses to leave my side is if i am ill and in the bed. She stays right by my side and close enough for me to reach out and touch her as if she knows it comforts me. She is also very attached to my adult son and daughter who share a house with me and they take her to the park and to various places and just to the corner for gas or to the hardware store and nursery where she is allowed to go inside. It was hard for me to share her at first but I know she needs other interaction besides just with me. I wouldnt even let children around her at first because I was afraid they would be too rough and hurt her. I cant even imagine having problems like I see described here. I just got blessed with a perfect now 20 pound fuzzy baby. Please, people, go to the shelters to find your next best friend and think about how you would like to be treated and loved if you were that dog. People say I spoil my Maggie but I dont think so. She is very obedient and does not ever bark or growl or snap or get snarky with anyone. She doesnt know what it is, since I have had her, to be yelled at or hit or treated badly. She does not know how to rough house and gets a little confused with the great grand children but she still runs to them and loves them. I have to force myself to just back off and let her learn to play with them. When she gets tired of them she comes and sits between my legs or lies down across my feet. When I have to leave her we have found she does best to hop up on the bed with a new chew or bong with peanut butter stuffing or just one of her babies to cuddle with. Since there are 3 of us here in the house she is never left alone more than a couple of hours. The only thing that she does that annoys me is licking. I just hate to be licked. I dont know why she licks but i dont allow more than a few little licks and then I tell her that’s enough and she stops. She goes around the house at bedtime and gives everyone a nite-nite moochie just one lick each and then off to bed. She sleeps on the foot of my bed most of the time but sometimes she goes to her own bed or to a rug next to my bed. We have our nightly ritual of brushing and bathing and treat and again in the morning. She does expect her morning rubs and massage. Oh yes and I do cook things for her to add to her crunchies like half ounce portions of liver, fish, ground beef, eggs etc or just a tiny sprinkle of grated cheese. She does so many cute tricks and dances and is quite the performer. She loves to entertain. Ok maybe she is a LITTLE spoiled. Tell me, honestly am I doing things all wrong with her? I have just gotten a mini Aussie Tate who is almost 12 weeks. He lost his mom to a car at 5 weeks old. He slept on his previous owners bed every night. He is getting used to the house and yard but whines incessantly if left by himself. Even when I shower he whines then too. 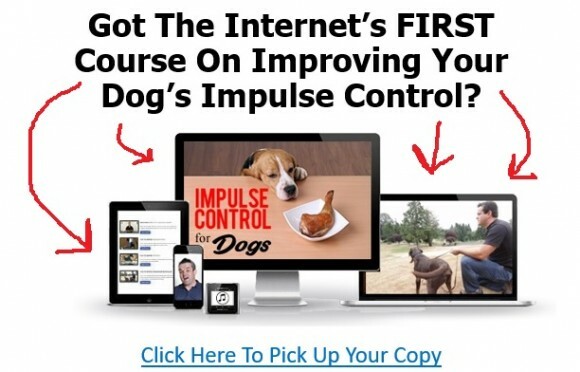 I’ve been doing the clicker training, working on leave it, homing beacon, drop it, beg leash training, going on walks. I tried a stressful ( tiller ) today, he wouldn’t get very close. Now he goes into his crate to hide, won’t come out unless coaxed or I leave the room and then he comes, not when I call him. I coughed a few times and he went and got under the bed. Please help, what am I doing wrong. He seems more scared than when I got him 2 days ago. I’ve been good about clicking on good behavior followed by treat. Now I’m wondering about it?